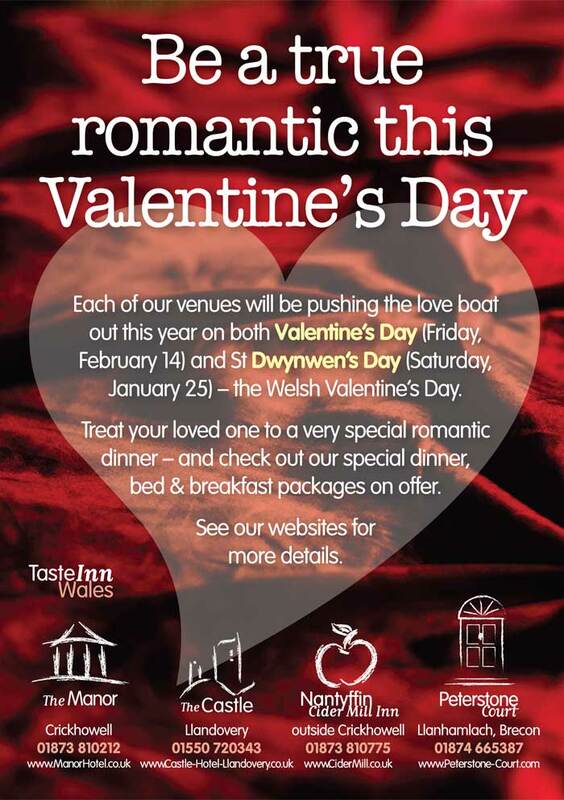 All our places are pushing the love boat out to prepare a romantic feast bar none for this years’ St Dynwen’s Day (25th Jan) and Valentine’s Day (14 Feb). A three course dinner, romantic live music, soft lighting… what more could couples want to show how much they love each other. Special B&B rates available for those wanting to stayover and make it a really special event.